Overlooking the Pacific Ocean and Bay of Banderas, Estate Invierno is an exceptional Mexico oceanfront villa. 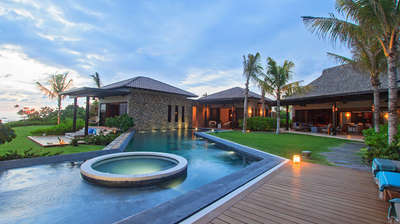 One of the most stunning Punta Mita villas, Estate Invierno showcases the imaginative designs of renowned architect Diego Villasenor, whose artistry is demonstrated at every turn. Sensual breezes. Illuminating sunsets. A welcomed calm. Be our guest at Estate Invierno. 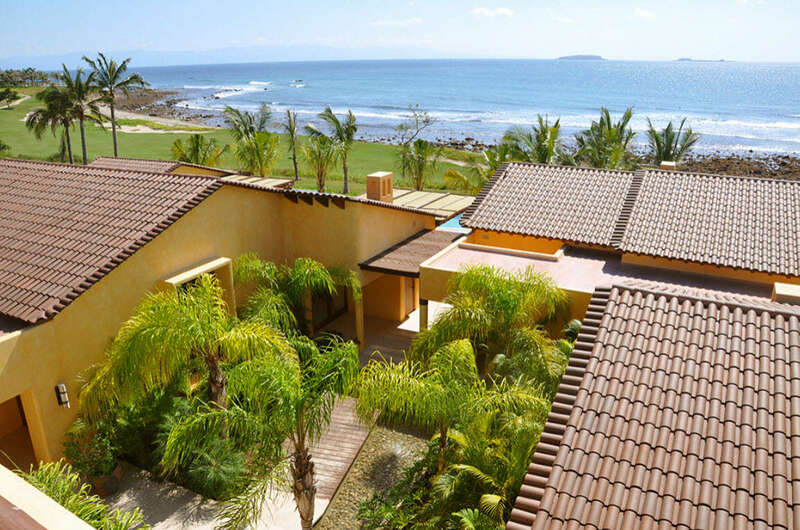 Allowing Estate Invierno to stand out amongst Punta Mita villa rentals are views encompassing the Bay of Banderas and the oceanfront 17th Hole of Bahia, one of Punta Mita's two Jack Nicklaus Signature Courses. Between small fiestas with family and friends, swimming in and lounging by the pool and getting the kinks out with an in villa massage, a stay at Estate Invierno assures a leisurely escape. A particular pleasure when visiting our Mexico luxury villa is being pampered by our attentive staff. You will enjoy daily housekeeping and nightly turn down service. If your Mexico vacation coincides with a birthday, honeymoon, anniversary or other special occasion, our concierge is ready to assist with music, catering and table decor. Estate Invierno guests are subject to the rules and regulations of the La Punta Estates Homeowners Assn. 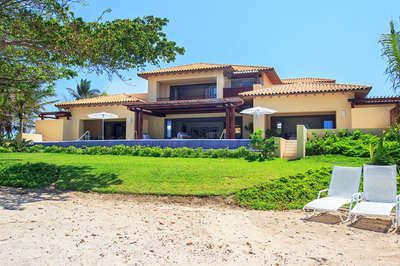 All outside guests planning to visit our Punta Mita villa must be approved by the manager for day visits. Guests enjoying our Mexico luxury villa waive liability claims against the owner of Estate Invierno. Fees to cover any damages to Estate Invierno will be deducted from the security deposit. Pool chairs and pool toys. Use of Residents' Beach Club (subject to prior reservation and availability). In house or villa spa services.